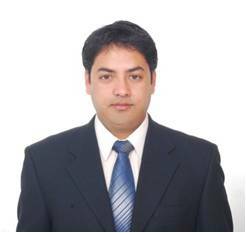 Dr. Thapa is an active researcher, with more than ten years of research experience, in the field of wireless communication and networking. Currently he is working as Lecturer in Dept. of Electrical and Electronics Engineering, School of Engineering, Kathmandu University (KU), Dhulikhel, Kavre. Previously, before joining KU, he was working as a post doctorate researcher in UWB Wireless Communications Research Center, Dept. of Information and Communication, Inha University, Incheon, Korea. Dr. Thapa has received PhD in computer engineering (with concentration in wireless communication and networking) from Chosun University, Gwangju, Korea. Research interest of Dr. Thapa includes MAC layer protocol design for various wireless networking technologies including WMAN, WLAN, WPAN, and WBAN. High efficiency satellite communication system/network, self organizing networks, femtocell deployed broadband access, Multi-user MIMO system, and Internet of Things (IoT) also belongs to his field of interest.